New Rebate Schedule (Effective March 2012), Rebate Schedule (Old Effective 2008). Updated 04/26/12: The House Ways and Means Committee is scheduled to hear testimony today on various bills to extend the tax incentives that expired at the end of 2011 or will expire at the end of this year. According to the Joint Tax Committee, there are approximately 70 tax incentives eligible for extension by Congress, many of them are targeted to help small business owners make capital investments in their businesses. Members of the Congress will have the opportunity to testify in support of legislation to extend expiring tax provisions they have introduced or co-sponsored legislation this year. There is expected to be discussion of extending the tax credit for the installing higher efficiency HVAC equipment (Section 25C), construction of energy efficient homes (Section 45L), the 15 year straight line depreciation for qualified improvements to leasehold, restaurants, and retail buildings (Section 168), bonus depreciation for small businesses (Section 168), and increased expensing allowance to $500,000/$2,000,000 and expansion of Section 179. As a member of the Residential Energy Efficient Tax Credit Industry Coalition, ACCA submitted testimony urging for the extension and expansion of the residential energy tax credit. The coalition is seeking a robust energy efficiency tax credit for qualified products, including furnaces, central air conditioners, and heat pumps, of 10 percent of the purchase price up to $1,000. The coalition believes that a $1,000 tax credit is generally the minimum incentive needed to motivate consumers to improve their homes by purchasing these higher-performing products, and to do so in sizable enough numbers to positively influence residential energy consumption. To read the Member Proposals Related To Certain Tax Provisions That Either Expired In 2011 Or Will Expire In 2012, Click here. End of Update 04/26/12. Updated 2/29/12: There is a bill circulating the Senate that, if passed, will create tax credits for consumers that reduce their energy usage by at least 20%. The bill establishes a $2,000 base credit for the first 20% decrease with a $500 stepend for each 5% reduction thereafter. The credit will be capped at $5,000 or 30% of the qualified expenditures, whichever is the lesser amount. Experts have estimated that this bill will create about 19,000 jobs through contracting, supply, and manufacturing while saving 1.7 billion kilowatthours and 18 trillion Btu of fuel by 2016. This is enough energy to power 375,000 homes! No one is sure if Congress will pass the bill as it does not identify where the funding will come from, but the fact that energy saving bills are still being considered in Congress is a good sign. This shows that the national mindset toward energy efficiency is changing, becoming more important to the everyday consumer. End of 2/29/12 update. After hours of fitful debate, the House of Representatives passed the tax extender package last night by a vote of 277-148. President Obama is scheduled to sign it into law this afternoon. The new law will extend a number expired and expiring tax cuts and other incentives for individuals, families, small businesses, and investors. If you listen to the news sound bites, everyone involved will says the bill is not perfect. Nearly every provision in the bill represents some form of compromise between Democrats and Republicans. Included in the new law are the Section 25c tax credits, the official name for the energy tax credits available to eligible taxpayers who make qualified energy efficient retrofits to their homes. The tax credits are extended through 2011, but at a significantly reduced value and with changes made to some of the qualifying equipment standards. Starting on January 1, 2011 and through December 31, 2011, an eligible homeowner can claim 10% of the costs, capped at $500, for the installation of qualified energy efficient improvements, subject to certain limits. Under the new law, for HVAC and hot water equipment, the maximum a homeowner could claim is $300 for a qualified central air conditioner and heat pump, and $150 for a qualified furnace or hot water boiler, and $50 for any advanced main air circulating fan. The tax credit for qualified hot water heaters is limited to $300. Beyond the change to the tax credit values, the new law will increase the qualifying standards for natural gas hot water boilers, propane hot water boilers, oil furnaces, and oil hot water boilers to 95% AFUE. The qualifying standards for natural gas furnaces and propane furnace remain at 95% AFUE. The qualifying standard for central air conditioners and heat pumps, which were modified by the Stimulus bill in 2009, are not changed. Therefore, a central air conditioner must meet or exceed 16 SEER and 13 EER; and an air source heat pump must meet or exceed 15 SEER and 12.5 EER and 8.5 HSPF, in order to qualify for the tax credit. Finally, the new law reinstates the lifetime credit caps, which disqualify any homeowner who has claimed more than $500 in 25c tax credits since January 1, 2005, from any further credits. While the extension of the tax credits at a lower value is not ideal, it keeps the tax credits alive and leaves open the opportunity to change them in the next Congress and restore them to the $1,500 level. If the tax credits had not been included in the extender package, they would likely have disappeared forever. If your A/C system is over 10 years old, needs frequent repairs or just doesn’t cool or heat like it used to, it may be time to replace it with a new high-efficiency model. Expert information and advice – since over half of all air conditioning purchases are unplanned; we understand that most consumers may not know what A/C products to buy or who to call to install them. That’s why we’re here to help you choose the system and be the contractor that’s right for you. By choosing Aloha AC an FPL Participating Independent Contractor. We can offer and provide an FPL rebate to help you pay – purchase and install a complete qualifying high-efficiency A/C system. You will receive an FPL rebate off the purchase price based on the efficiency rating and size of your new unit. A follow-up survey – buy your new high-efficiency system from Aloha Air Conditioning and FPL will contact you by mail when the job is done to find out how it went. How important is your opinion? It’s what keeps Aloha AC on FPL Participating Independent Contractor list. 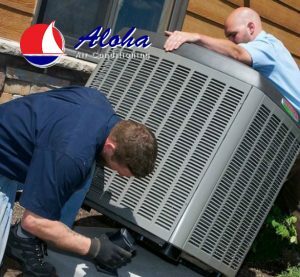 Purchase and install the system with Aloha Air Conditioning an FPL Participating Independent Contractor. Short=term savings of up to $1,100 on the purchase price of a new system. Long-term savings of $230 to $960 per year on your energy bill, depending on how inefficient your old heating and cooling system was, the efficiency of your new system and the size of your home. Confidence that you made an informed decision.